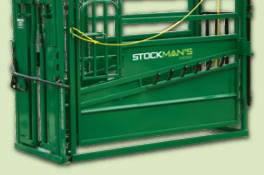 Master Your Cattle | StockMan's Choice is a line of Cattle Chutes, Gates, Feeders and other cattle handling equipment. Even for experienced farm or ranch hands, cattle handling can be grueling, demanding work. StockMan's Choice is here to make your job easier with tough, field-tested cattle chutes, gates, feeders and more. Dealers and Sales Rep inquiries are always welcome. This site and contents are ©copyright 2014 E.S. Martin Welding. Website design by Innovative Design & Print, Inc.